3. 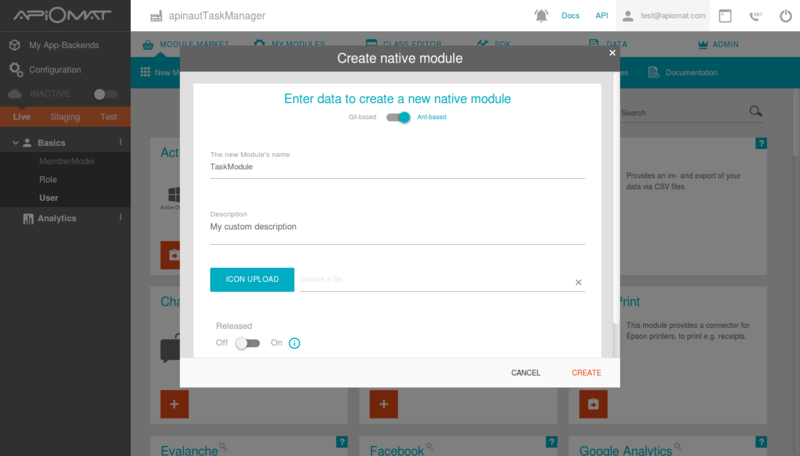 Create a new module by going to the Module Market and clicking on "New Module" in the submenu. Give it a name and description and click "CREATE". 4. Go to the "Class Editor"- Tab to create a class in our backend. You will be asked for a class name after entering the tab. Just call the first class "Task". Scroll down to the attributes and add a String “description”, a Number “done” and a Date “untilDate”. 6. Go to the SDK Tab and download the Objective-C library by pressing "Download SDK" button. 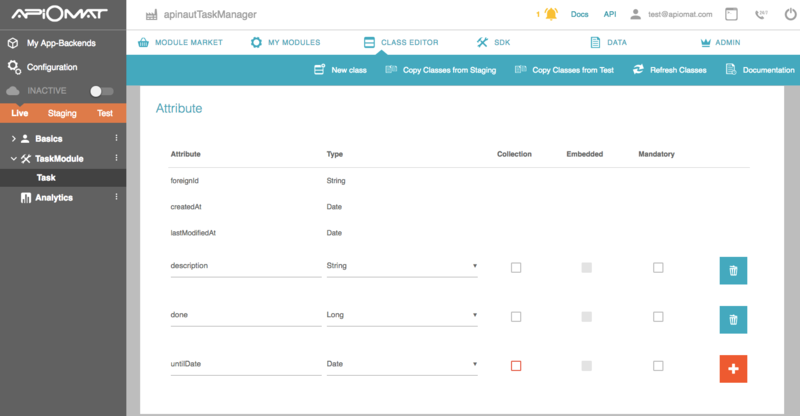 You will get a zip file with your generated classes and all necessary libraries. 7. 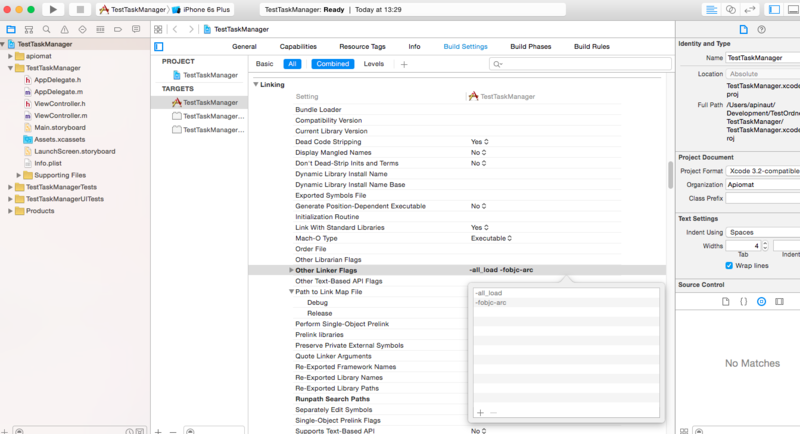 Go to your Xcode and start a new Project under File->New->Project. 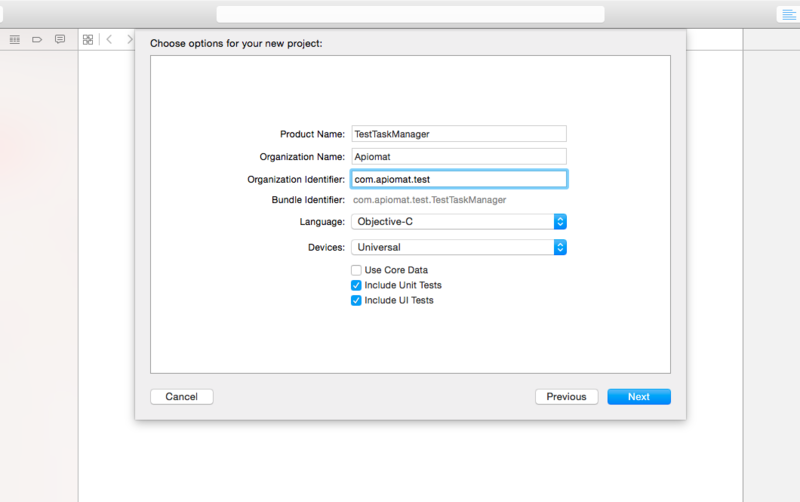 Choose “Single View Application”, click next and enter a “Product Name”, e.g. 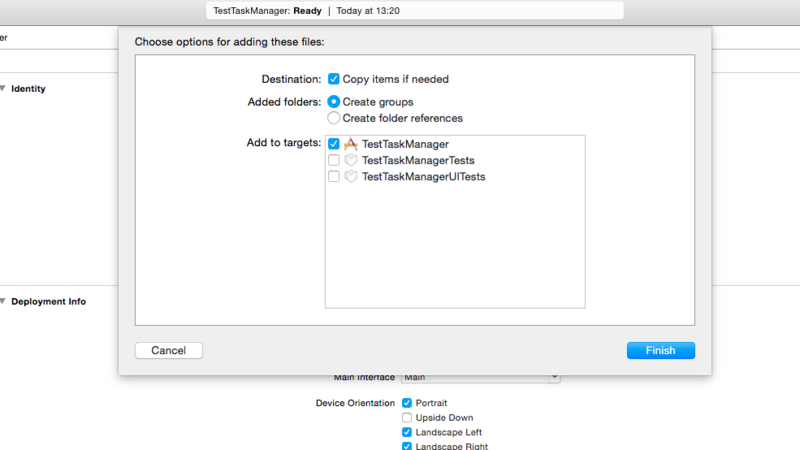 : "TestTaskManager" (In older versions of Xcode: Make sure that “Use Automatic Reference Counting” is checked). Then click next, select a folder for your project and create it. 8.Now move the downloaded and unzipped library files to your project by dragging the directory “apiomat” to your “Project Navigator”. 12. 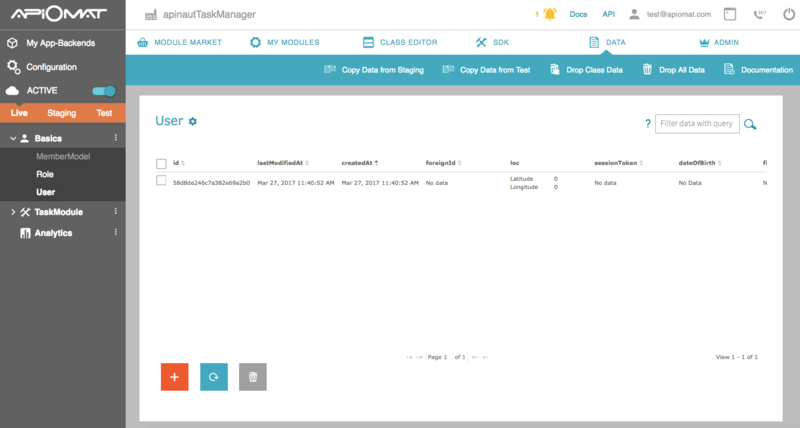 We configure Datastore and user in “AppDelegate.m” file. 13. Congratulations! Your backend and your connection are working now. Have a look at the Data-Tab of your Dashboard to see that the created user in your Backend. 14. Now let’s play around with the Task-Class. Add the following code to some of your view controllers (e.g. ViewController.m). The best place is the viewDidLoad method. We will create 2 objects of class “Task” (Be sure that you imported the “Task.h” header file). secondTask.description = "Eat to lunch"
15. 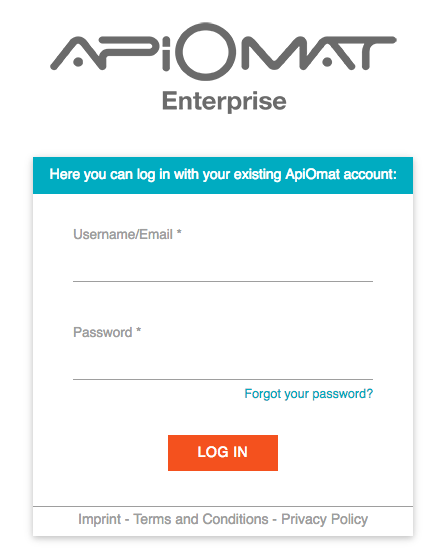 Now let’s request all tasks from the ApiOmat backend. We add this after the save statement of the second task. 16. Finally, we will use a query to get back all non-done tasks.